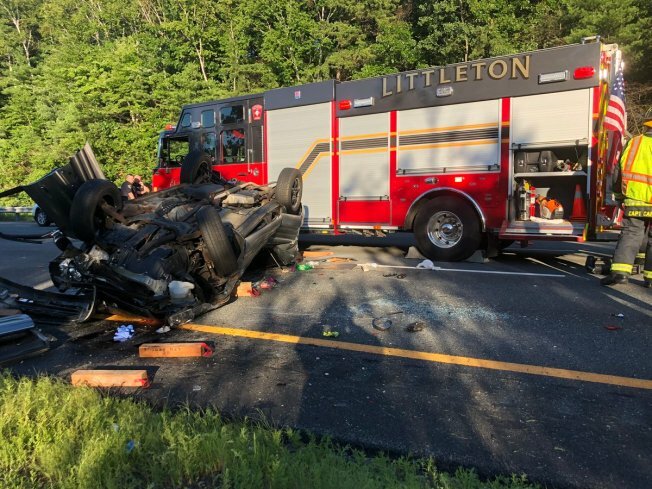 A person was airlifted Thursday evening after a multi-vehicle crash on Interstate 495 in Littleton, Massachusetts. Authorities confirm that one vehicle rolled over on the northbound side of the highway just before Exit 29. One person was seriously hurt and was taken by MedFlight to UMass Memorial Medical Center in Worcester. There was no word on other injuries or how many vehicles were involved. The left and center lanes were closed as police investigated, but they had been reopened shortly before 10 p.m.